Who is Abby Hatcher? Nickelodeon just announced their new TV show will premiere in January. 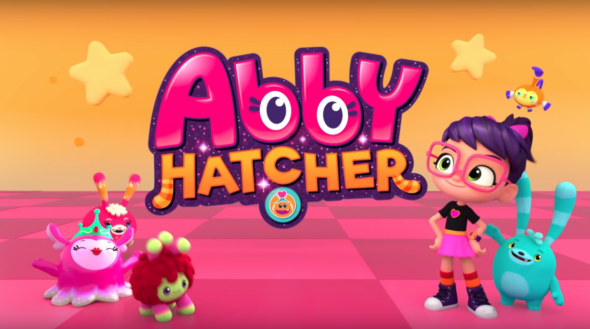 Abby Hatcher debuts on Nickelodeon on January 1st at 10 a.m. ET/PT. NEW YORK-Dec. 13, 2018- Nickelodeon’s brand-new animated preschool series, Abby Hatcher (created and produced by Spin Master Entertainment), tells the story of a little girl with a big heart who helps her friends, the amazing and quirky Fuzzly creatures, fix their mishaps, learn from their mistakes and negotiate their emotions. Premiering Tuesday, Jan. 1, at 10 a.m. (ET/PT), in the Nick Jr. preschool block, Abby Hatcher (26 episodes) features a social-emotional curriculum highlighting empathy, compassion and problem-solving skills. Following its U.S. launch, the series will roll out on Nickelodeon’s international channels and branded blocks in 2019. What do you think? Do your kids watch Nickelodeon? Will you watch Abby Hatcher?